Stay, happily, in a perpetual let-go! Knowing, accepting and celebrating the impermanence of everything around us is a sure way to stay in a perpetual let-go! Over the last fortnight my phone crashed, our car suffered a break-down, and our TV conked out. For various reasons all three cannot be either fixed or replaced immediately. It was initially both disconcerting and frustrating to deal with this triple disaster. These are things we depend on and, often, mindlessly, take for granted. Their succumbing to wear and tear, which any piece of machinery is prone to, was not, I realized, the cause for my frustration. My inability to have them fixed immediately was. 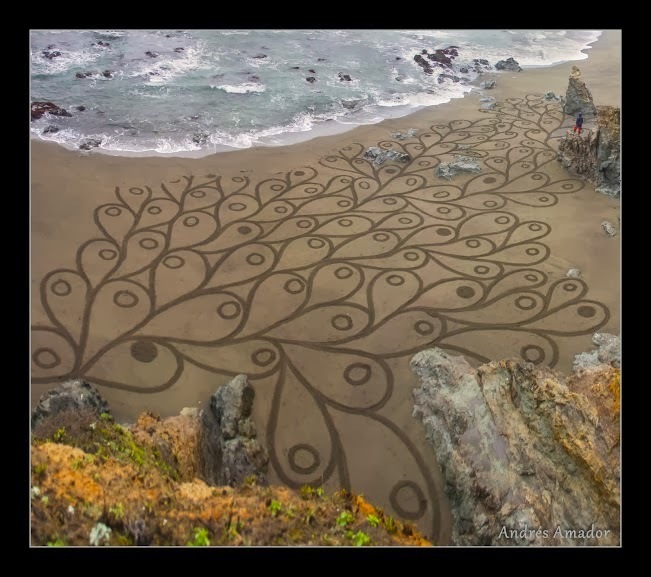 I found Amador’s attitude to his art and to Life very uplifting. 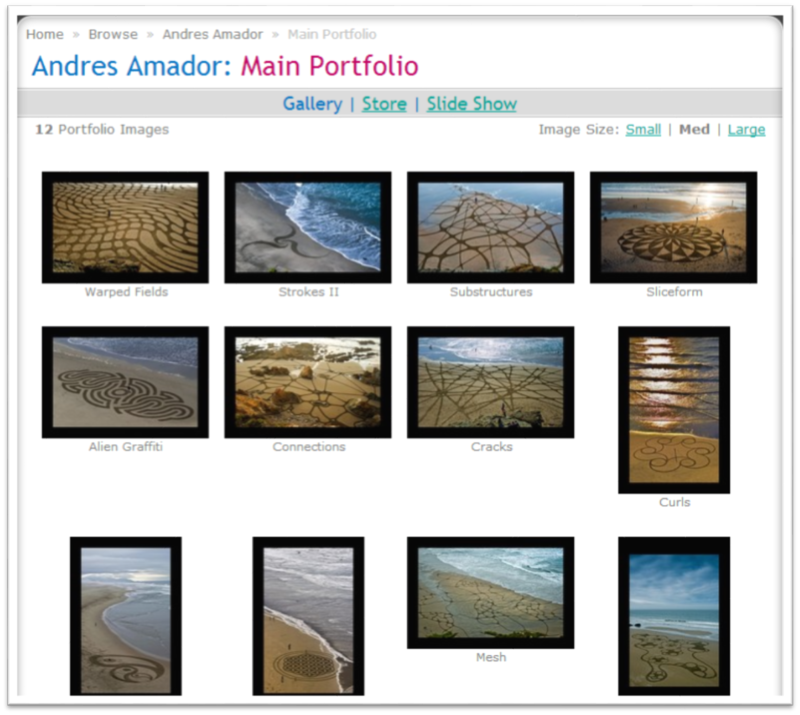 I thought to myself that here’s an artist, who “creates” works of beauty, of brilliance, (see his pictures sampled here and on http://www.andresamadorarts.com/ ), only to let them go. And here I was battling frustrations on things I have merely gotten used to depending upon. It was a humbling learning, and awakening, that helped me let go of those things I could not immediately fix or replace. I have often, through my experiences, realized that our frustrations come only from our innate, subconscious desire, to be in control of everything. Technology has only made us even more parasitic. There’s an insatiable need, each of us experiences, for instant gratification. If something is broken, it needs a fix immediately. If something is not working out, we agonize over getting it to work. If we lose something, we grieve over that loss endlessly. All of these, and more, contribute to our unhappiness. Happiness really is about getting rid of – letting go – whatever we don’t have, isn’t there, can’t fix or have not got. We are unhappy only as long as we cling on to something. This is as true about our material assets as it is about relationships. When we get rid of the thought, the expectation, that something, or someone for that matter, should always be with us, we will be free. And happy. Celebrating impermanence is not all that complex. It’s downright simple. If you think about everything – and everyone – in Life, including those people that you love deeply, you will realize that sooner than later, the waves of time will wash them all away. So, begin by stopping to think about anything that you have had to let go or can’t retain. Life’s most well-kept secret is this – as long as you are not clinging on to anything, even in your thoughts, you will not suffer! Author AVIS ViswanathanPosted on February 2, 2014 March 14, 2016 Categories Andres Amador, Art of Living, California, Grief, Happiness, http://schemas.google.com/blogger/2008/kind#post, Impermanence, Inner Peace, Intelligent Living, Let Go, playa, Suffering, Unhappiness1 Comment on Stay, happily, in a perpetual let-go!